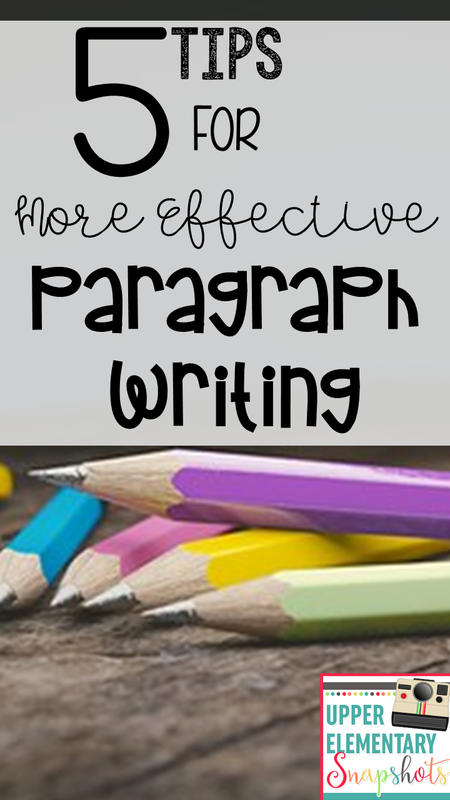 Teaching paragraph writing can be challenging. Not only are there multiple components and a specific structure to follow, there are also factors involved like word choice, content, and writing style. 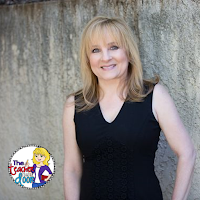 Even though it's not easy, teaching writing is one of my favorite subjects! 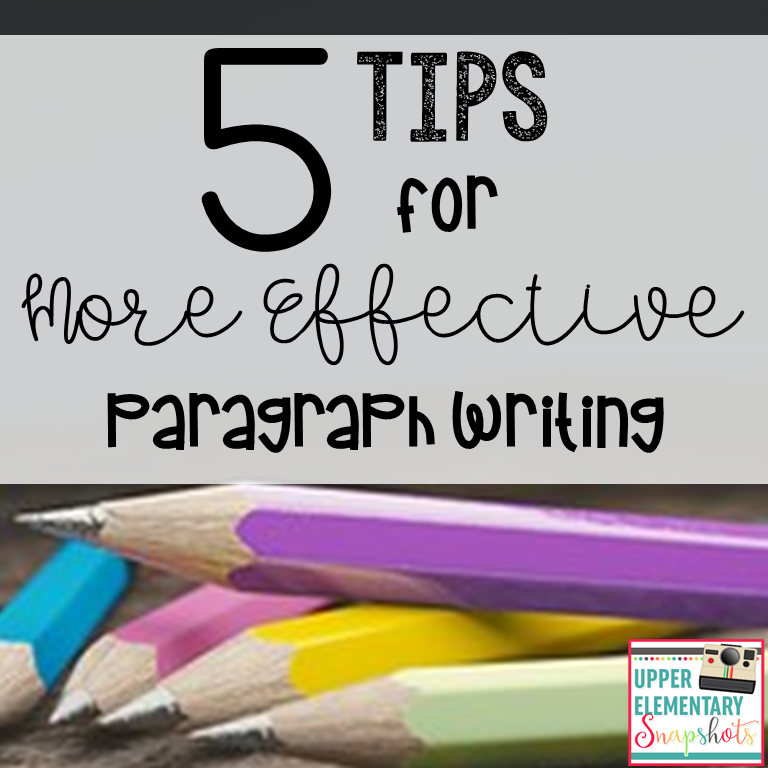 In this post, I'd like to share with you some tips that I've found to help make student paragraph writing more successful. One of the first things I do when I teach paragraph writing, is to share lots of paragraph examples with my students. The paragraphs I show the kids are ones I have saved from year's past or ones that I make myself. I make sure to take off student names and I like to type these so they're easy to read. We look at the paragraph examples (both good and bad) and see how they're organized, if they stay on topic, use some transitions, and have a good flow. We also look at the topic sentences and the conclusion sentences in particular, as starting and ending paragraphs can be difficult for many students. Sometimes I simply project the paragraphs using a document projector on the smart board, and other times I print them out and have the students circle certain items or highlight various parts. 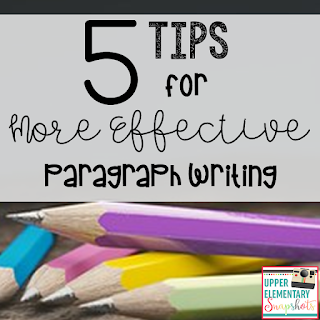 Writing a paragraph is a little like an algebraic equation. We would never start teaching a complex equation by putting it in front of a child and asking them to master it without first teaching them basic math processes, like addition, subtraction, and multiplication, and then the Order of Operations. The same is true for paragraph writing. It is way too complex to expect students to master it without teaching them specific strategies for each part. I start by teaching students to outline and color code paragraphs using star ideas (more information here on this blog post), then move to topic sentences (blog post for topic sentences here), conclusions are next, as students can re-vamp topic sentences into conclusions (blog post on conclusions here), and we end with transitions to make our paragraphs flow (click here to read more about transitions). Writing a paragraph as a class may be fun or it can be tedious, but it is a step that is too important to skip. I make a deal with my students and tell them that if they stay with me and participate, that I will do all of the writing this time for them. I've never had a class fail to take me up on this offer (and I've had some challenging classes in my 20 years of teaching!). After introducing a topic, I stand at the Smart Board and step by step, call on students who dictate sentence ideas to me, which I write down for everyone to see. By composing a paragraph step by step, you are reinforcing the basic paragraph recipe and modeling some of the thinking that goes into writing along the way. Things like staying on topic, using sentences of varying lengths, choosing synonyms for certain words to add variety and so on. Once students have looked at lots of paragraphs, have had a chance to practice each part of a paragraph multiple times, and have worked together on a class paragraph, it's time for them to write paragraphs on their own...yikes! It always scares me a bit but I'm usually pleasantly surprised by what they're able to do at this point. Shared Experiences: Any time your whole class does something interesting together, you have a prime topic for a paragraph. Perhaps your class went on a field trip to the zoo, planted a school garden, had an interesting assembly...These authentic experiences can give students lots of concrete ideas from which to write. Common Interests/Background Knowledge: I also like to assign paragraphs based on topics which all students have experience. For example, My Favorite Place or My Favorite Season or My Best Friend or One Person I Admire... Most children would be able to draw on their background life knowledge to create a paragraph for any one of these. 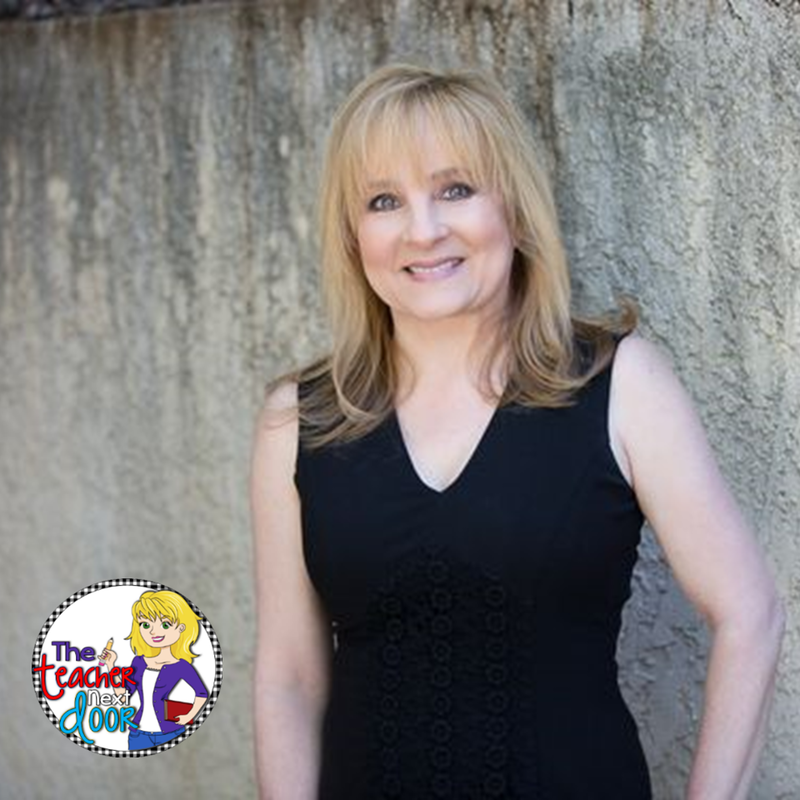 My Favorite Vacation or The Best Amusement Park, however, wouldn't work well as not everyone in the classroom has had experiences such as these. It may go without saying but once students have completed a round of intense paragraph writing training, they'll need to practice periodically to keep skills sharp. I love to spiral as many concepts as possible in my classroom and paragraph writing is no different. 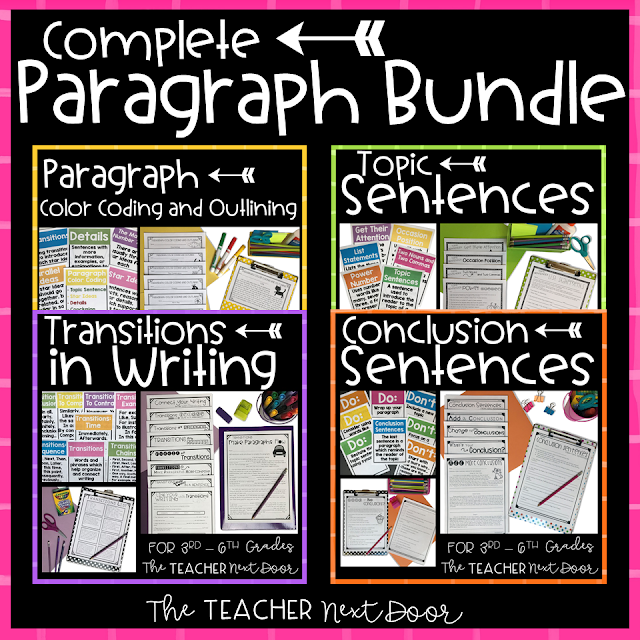 If you're looking for an easy to way have paragraph writing materials at your fingertips, I love using this Paragraph Writing Bundle. Not only does it have plenty of practice pages for each part of the paragraph, it is a no prep tool that you can use tomorrow in your classroom. Thanks so much for stopping by! Please let me know if you try any of these tips!